Join the discussion on our forums! Come discuss Steam Surger over in our dedicated Steam Surger discussion topic. does he come with steam sales too? I was thinking the same thing but Goblin Blastmage is better. This is a slightly worse version as it has no immediate impact on turn 4, where blastmage is 5/4 and possible huge tempo swing and this is more of a value play. 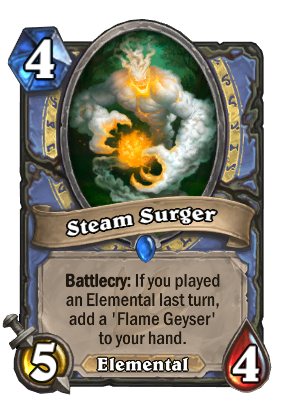 Good card but Elemental Mage hasn't really been given the tools to be broken, at least not compared to Shaman anyway. 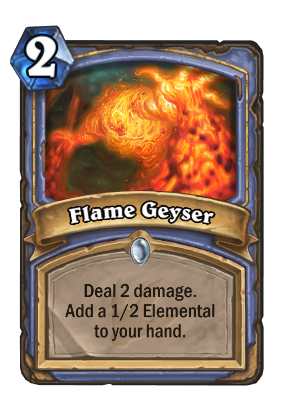 Good stats (great would be 4/5), elemental synergy, quest synergy, gives cheap small removal. Mage's Tomb Pillager. Strong Card.